Some 2018 Expedition rumors are circulating, especially as the new model was spotted out on the test track recently. 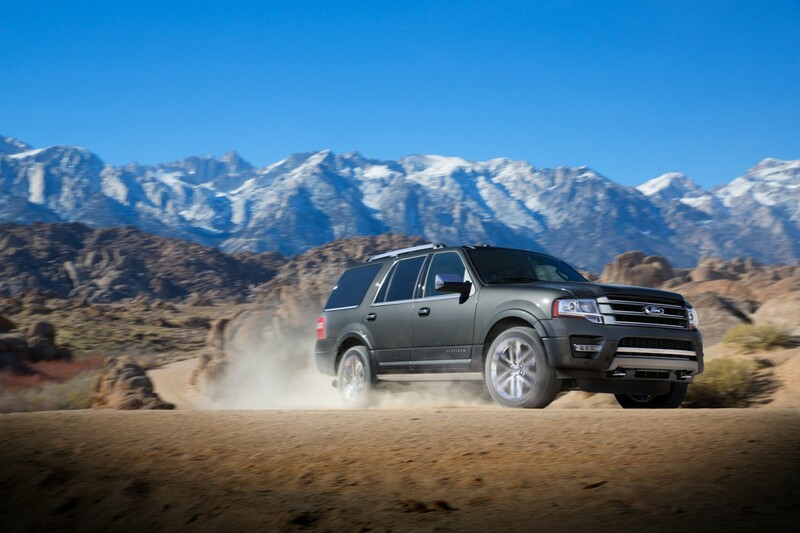 Resembling the F-150 in many ways, the new Expedition is set to get a high-strength aluminum body as well. This will decrease overall weight significantly, improving handling and fuel economy, as well as driving dynamics. According to the Examiner, the 2018 Expedition is set to have a completely new body and refreshed looks, with added space both inside and outside. That means you’ll have more legroom inside of the cabin, with high-quality seating for added comfort on long trips. Under the hood we’ll see improvements as well. Thanks to some tweaking, the Expedition will have between 5,000 and 10,400 pounds of towing capacity with more than 400 horsepower and 400 lb-ft of torque. Although exact numbers are still not known, sources at Ford have discussed using a state-of-the-art 3.5-liter EcoBoost V6 that was recently developed for late 2016 and current 2017 Ford models. The exact details about the 2018 Ford Expedition are still under wraps, though we can’t wait to see this model in action. With an aluminum frame, engineers are planning to drastically change the Expedition, offering better performance and handling. Plus, with a new EcoBoost engine and lighter design, fuel economy is bound to sky rocket. We can’t wait to see the 2018 Ford Expedition on the market, though it may be a year or so until that happens.